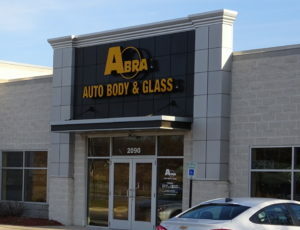 State Farm Select Service locator data show ABRA repair facilities have been given the No. 1 ranking — and in some cases, many other successive slots — in nearly every one of ABRA’s markets across the country. Checks of the nearly 300 ABRA markets between Friday and Monday using default State Farm search parameters reveal this national condition, with only a small percentage of markets posting a competitor in the top slot on Select Service locator. In some of these cases, rerunning the State Farm locator search led to the No. 1 position fluctuating between ABRA and a rival. Additional ABRA shops also populate other positions in the Top 10 in some markets — and this can mean all three of the listings displayed on the first page under the default search conditions. (A 15-mile radius; five shops displayed per page.) Like being on Page 1 of Google (or better still, “above the fold” on Google Page 1), this seems to place ABRA in the catbird seat. ABRA did not respond to an email request for comment on how it had captured these plum positions seemingly nationwide. For example, did a new ABRA operational strategy allow ABRA to blow away its rivals on KPIs, and therefore, rankings — or was it merely a contractual concession State Farm granted to the MSO? If it is a contractual concession, some sort of KPI tracking appears to be in place. 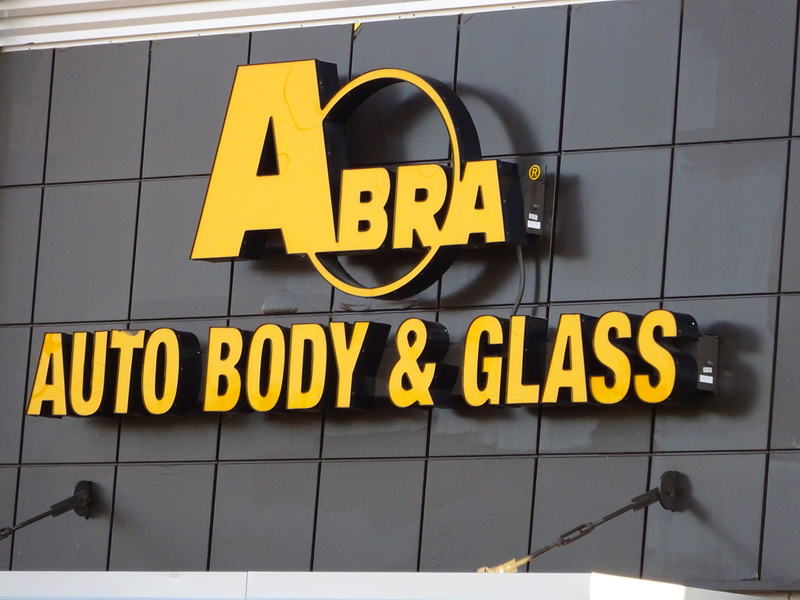 The results often show ABRAs in other municipalities placing ahead of a shop located in the actual search city. ABRA did not respond for a request for comment on how it had secured the top spots and how, if the rankings were in fact a contractual perk, how the scoring worked for individual ABRA stores. We asked State Farm a few questions about the situation. We asked them to discuss how ABRA received this top position, how individual ABRAs were scored, and what happened in markets where an ABRA didn’t make No. 1. We also sought comment whether it was a double standard for a carrier receiving “Most Favored Nation” status in DRP contracts (State Farm gets the same lower labor rate the shop contractually grants to another insurer, for example) not to put all its direct repair program business partners on an identical playing field. We also asked if similar deals were being cut with other privately owned, franchise or dealership group MSOs, and inquiried why any other MSO or independent shop should be a part of Select Service if that repairer or chain wouldn’t be recommended over a competitor based on merit. We also sought comment from some of the nation’s largest MSOs — a mix of privately owned, publicly traded, franchise and collective brands — about their competitor ABRA’s sudden rankings dominance. Service King, Caliber and 1Collision did not respond to a request for comment. A representative of Gerber parent company Boyd Group on Friday said he was looking into the matter and the company’s response, but did not return a follow-up call or email as of our deadline Tuesday. Fix Auto USA spokesman Jonathan Herrera wrote in an email Friday that company policy was “not to comment on any of our insurance relations.” A CARSTAR spokeswoman gave a similar answer Tuesday in declining to comment. CCG considers State Farm a valued partner with over 80 CCG locations in the Select Service network so of course we are working on any ‘next level’ partnership they feel is in their best interest to compete. Our interest is to help our affiliates compete so when a large group finds a way to serve their needs and make that fit with State Farm’s objectives, we must find a way to do the same or at least try. We are continuing to have ongoing negotiations with State Farm along with six other top carriers adding to the agreements we currently hold. The ever changing complexity of these agreements will continue to progress at the same pace the repair gets more complex and the threat of OE participation grows closer. Carriers are faced with tremendous uncertainty in the next three years and are looking deep inside their organizations for a strategy to create stability as our industry grapples with intelligent dispatch and OE certified facilities becoming the necessary repair choice. Many carriers are beginning to understand the added risk they are exposing themselves to by not taking every opportunity to have their policy holders vehicles fixed at the most qualified repairer. Actuarial tables and historical underwriting practices are all manipulated when a repaired vehicle’s safety features or accident avoidance does not perform as they initially priced the policy to reflect. On the surface some of these Large agreement may not appear to follow this same train of thought but our industry is short by over 3000 certified locations if every OE program went live with telematics for repairer selection tomorrow. These agreements are designed to shift that burden onto these large groups or networks at a greater level than is possible between a large carrier and a single repairer ultimately forcing them to invest and meet the industry needs. However, interviews with sources within these major companies suggest a possible explanation for ABRA’s position and that this dominance could be merely temporary — but still troubling for competitors. A manager with responsibilities for multiple stores in an area said his MSO had received a similar rankings bump within the past 12 months. The carrier and the MSO cut a deal under which State Farm would judge the brand under a retooled set of metrics, said the manager, whom we’ve agreed to keep anonymous. 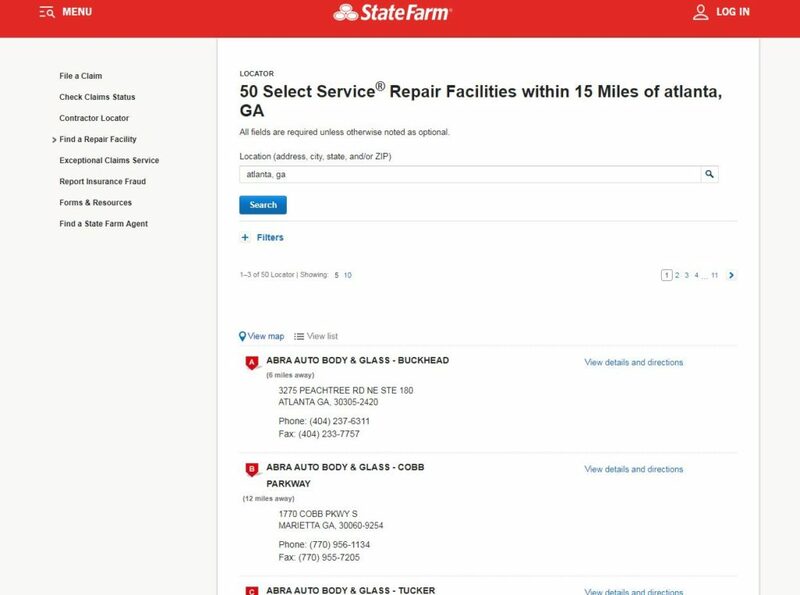 State Farm reset the RPMs all of the collision repair brand’s stores in conjunction with the new system, an action which had been expected to vault the brand’s shops across the country to the No. 1 spot for at least a month. “They’re monkeying with the order of the shops,” the manager said. An industry executive from another brand described such a situation as well. He said he thought some of ABRA’s national competitors had also been granted similar deals as ABRA, based on capitation as the KPI and negotiated penalty terms for variance to the organization’s goal. He described the locator reshuffling as a mere temporary advantage of the arrangement — not a permanent placement. According to the manager, shops were even told to hold off on billing on big jobs until after the first month of the reset, as it would have a detrimental effect on the ranking. “It backfired on my stores,” he said, for they had a couple of $20,000-$30,000 jobs during that time and saw a subsequent rankings drop. The reboot might complicate life for local managers of national chains in other ways. The majority of State Farm’s “RPMs” for judging individual shops are based off of a 12-month average, but the reset under new guidelines eliminated that history, the manager said. “You start from scratch,” he said. He said his understanding had been that the RPMs started at a ceiling and were reduced by poor KPI performance, similar to a credit score. The new system seems as though “you have to build it up,” he said. It seems as though after the first month, State Farm resetting the rankings on an MSO but not on smaller competitors might actually wind up helping the smaller shop instead in some markets. We suggested this to the manager. “Couldn’t agree with you more,” he said. However, State Farm has told his company that it won’t allow the post-reset system to allow scores to drop below a certain threshold. “There’s some monkeying going on with numbers,” he said. 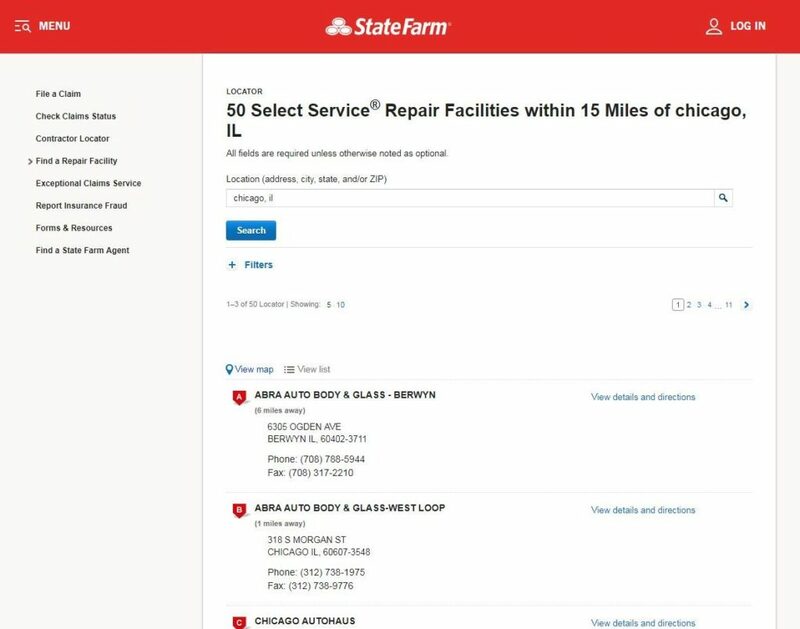 Cutting a deal with State Farm to boost referral volume on the whole across the MSO’s hundreds of shops means “instant revenue for that MSO,” he said. Corporate still makes more money because of the increased national volume, even if the individual shops are posting a lower margin because of the decision. “I’d rather make two points more on the cars that I’m repairing,” he said. Even if such deck-stacking left the shop with only 25 referrals, how many of those would the shop be able to capture if left to its own marketing capabilities?